Here we trace the origins of the Italian brand and highlight some of its many firsts. 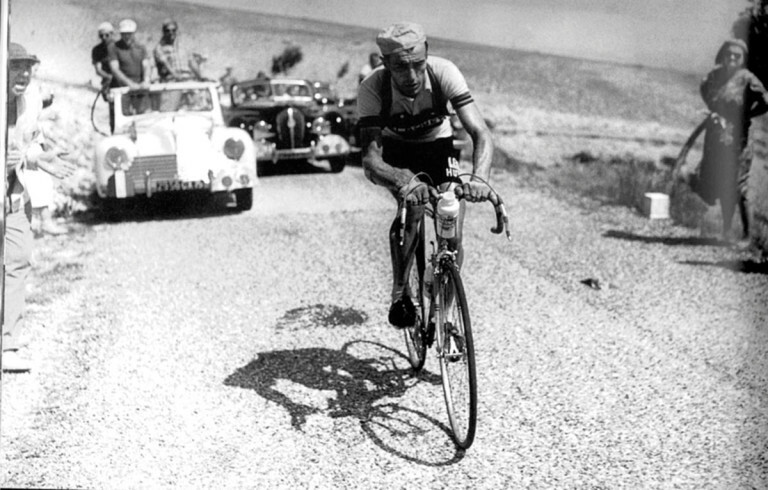 “I would never have been able to revolutionise cycling clothing if I hadn’t raced. It’s the only way to gain a true understanding of what’s involved.” – Maurizio Castelli. 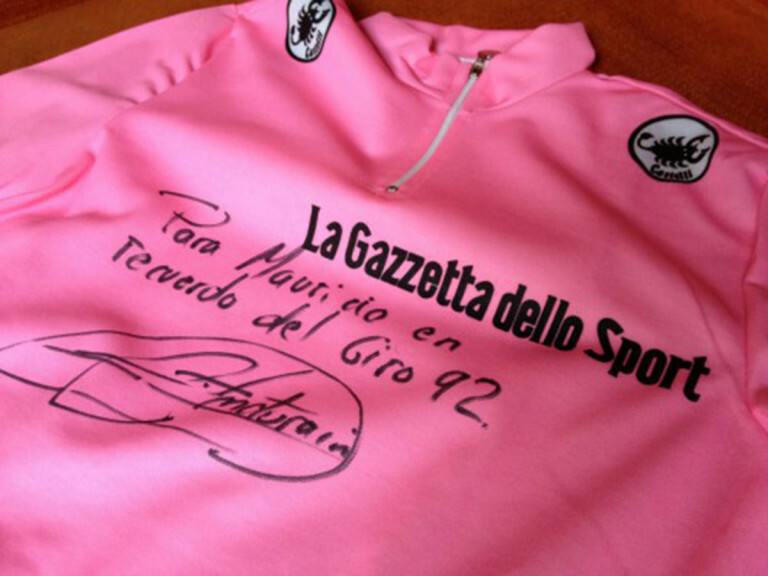 If there is one phrase which sums up Castelli cycle clothing it is the quote above from company owner Maurizio Castelli. This simple statement defines the company’s ethos as a revolutionary and race focused supplier of quality cycling clothing. The iconic scorpion logo is a badge of quality and any product bearing the logo will have undergone a thorough R & D process. It will have been tested by some of the best riders in the world. Indeed, sponsorship of professional riders has been a company policy for decades and results in many garments becoming available to the public relatively quickly after appearing on the pros. 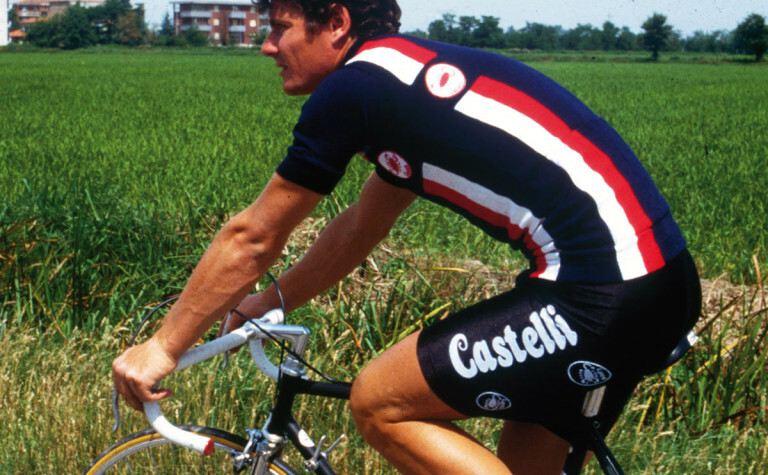 Castelli have been an innovator of cycling clothing over the years with many firsts which are now commonplace. Coloured shorts are just one example, right the way up to the latest Gabba foul weather gear and San Remo speedsuits. 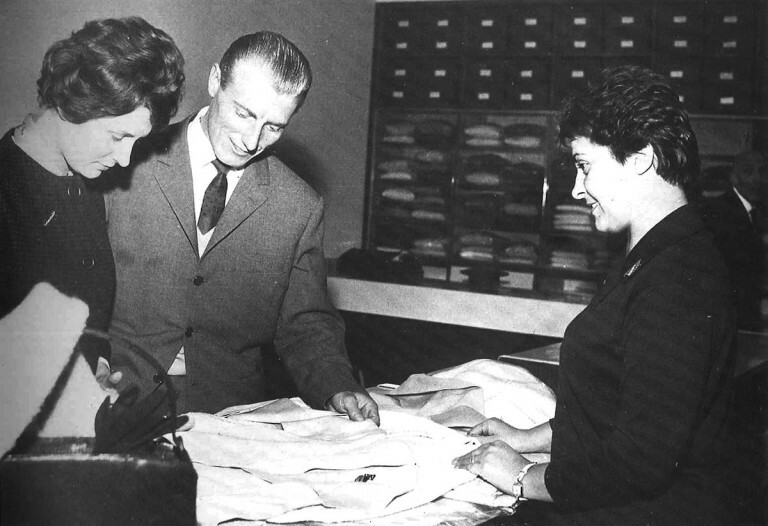 Castelli can trace its roots back to 1876 when Vittore Gianni founded his fine tailoring business. Through the years they have clothed both AC Milan and Juventus football teams and the Milan Ballet among others. The first cycling clothing was made in the 1910s for the world champion and five-time Giro champion , the Italian legend Alfredo Binda (above). 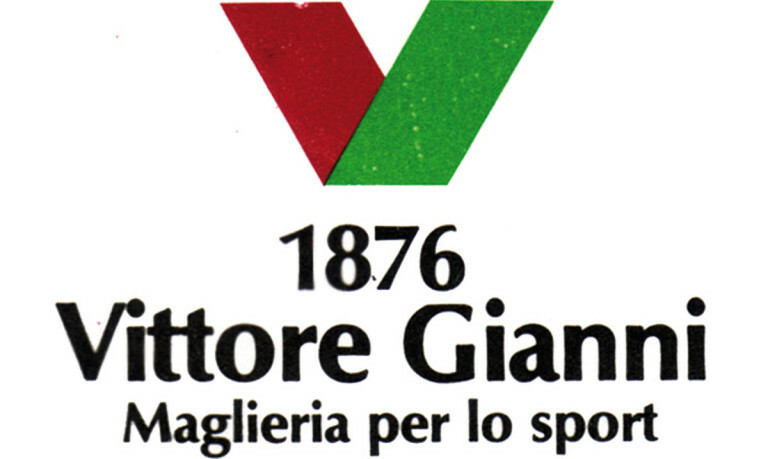 Armando Castelli (above) joined Vittore Gianni in 1935 and in 1939 he bought the company. 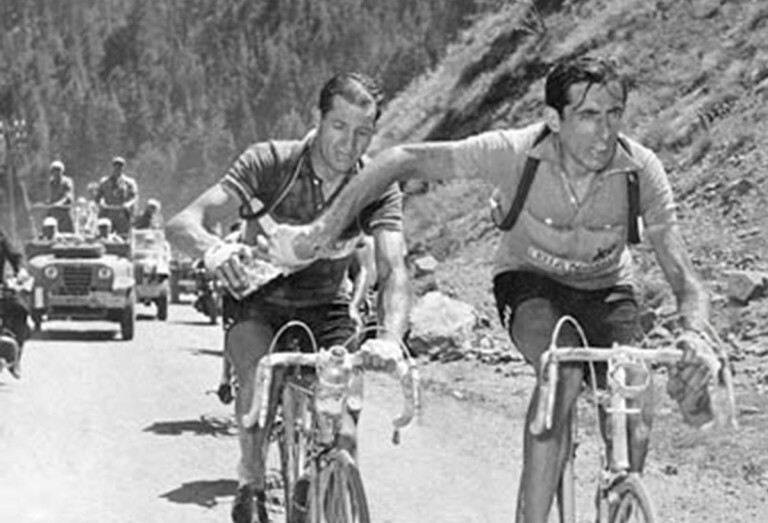 By this stage the company was sponsoring some of the world’s best riders including two of the most iconic cyclists of all time, the Italians Gino Bartali and Fausto Coppi (above). 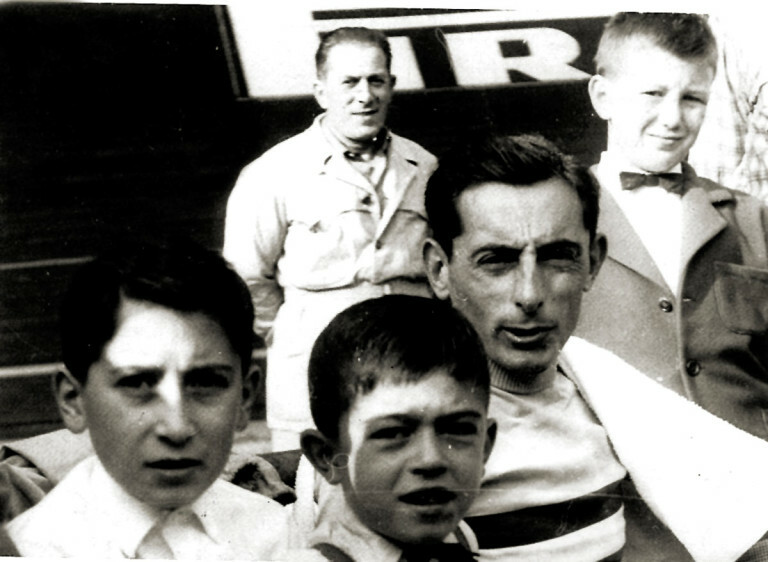 Maurizo Castelli, Armando’s son, is born and grew up watching the legendary Coppi wearing Vittore Gianni clothing, including the first silk skin suit for time trialling. 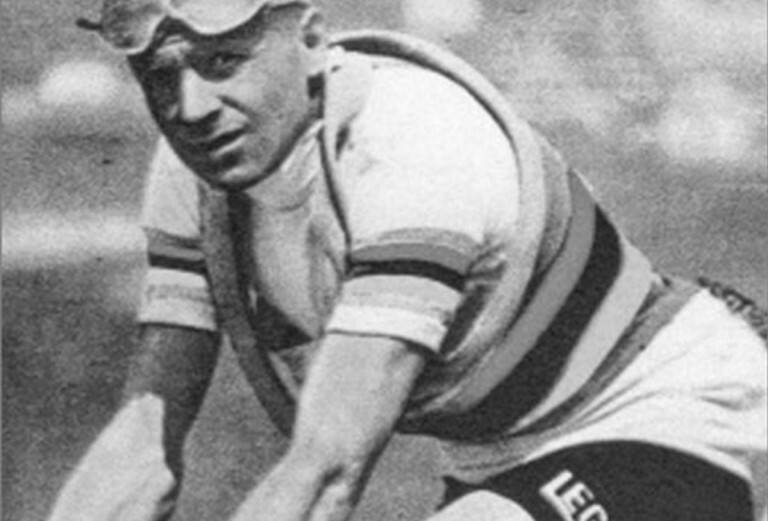 In the 1950’s, at least a dozen professional cycling teams were using Vittore Gianni clothing including riders such as Louison Bobet, Rik Van Looy (above) and Jacques Anquetil. Castelli introduces the first Lycra® shorts to the professionals and very shortly after start selling to the public revolutionizing the market. Believe it or not there was a time when only black cycling shorts were permitted in cycle races even for the professionals. 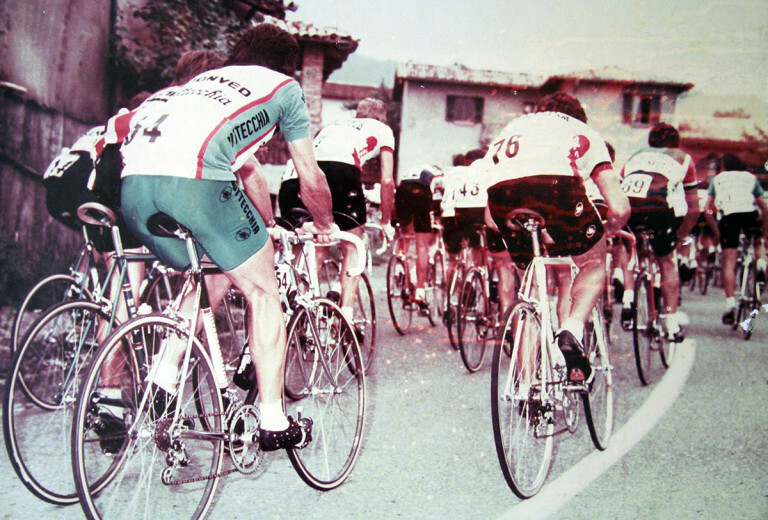 Castelli introduced the first coloured Lycra® shorts at the 1981 Giro d’Italia (above) causing a sensation and a success in sartorial terms. 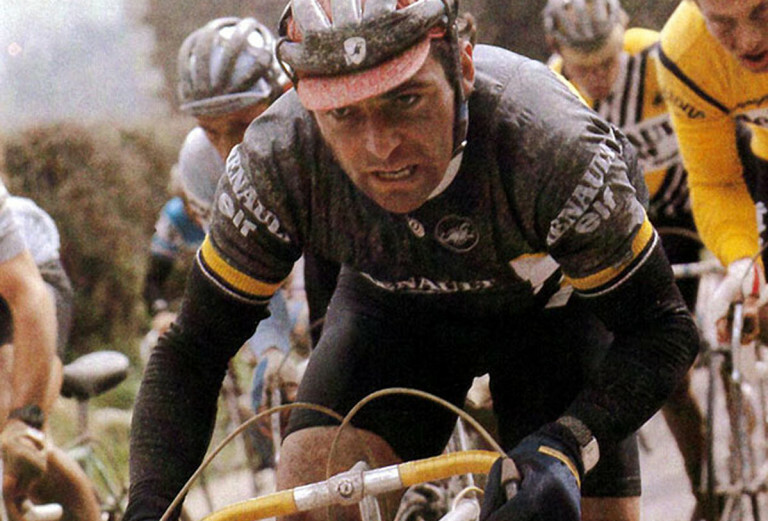 The first windproof jersey is introduced to immediate success with French hero Bernard Hinault winning the Fleche Wallonne Classic wearing one (above). Graphics can now be printed directly on to fabrics when Castelli pioneers the sublimation dye process allowing sublimation printing of jerseys. 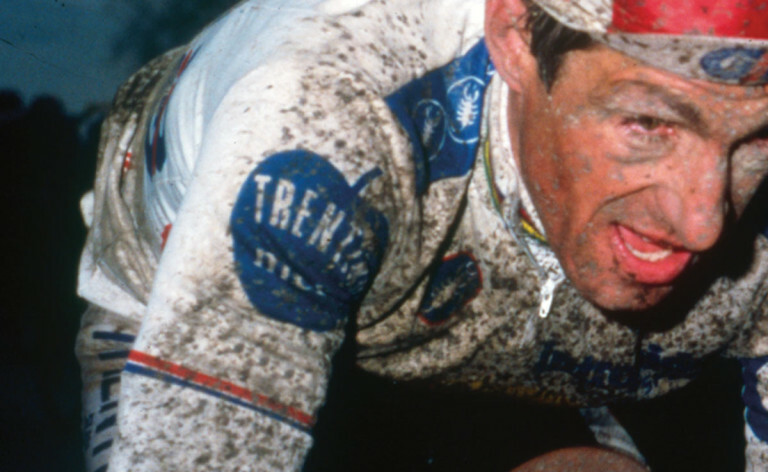 Italian Franceso Moser at Paris-Roubaix (above). The first functional thermal clothing is introduced making professionals’ lives easier as they now have protection without the bulk. 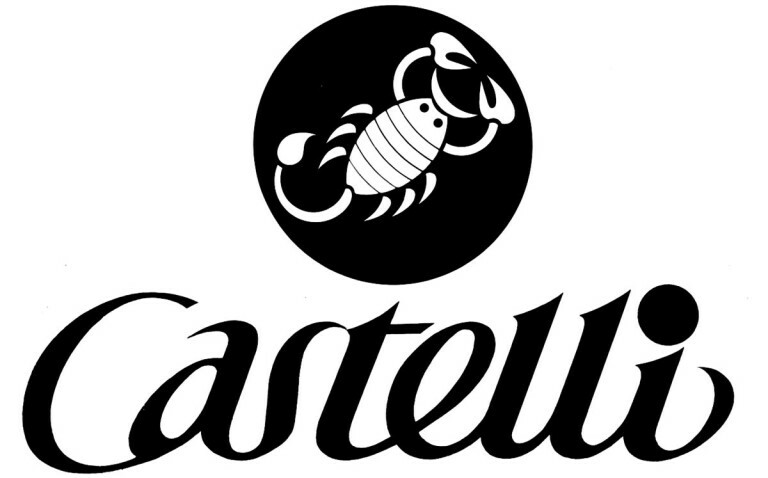 Dozens of pro teams as well as the leader’s jerseys at the Tour de France and Giro d’Italia are supplied by Castelli in the late 80’s and early 90’s. 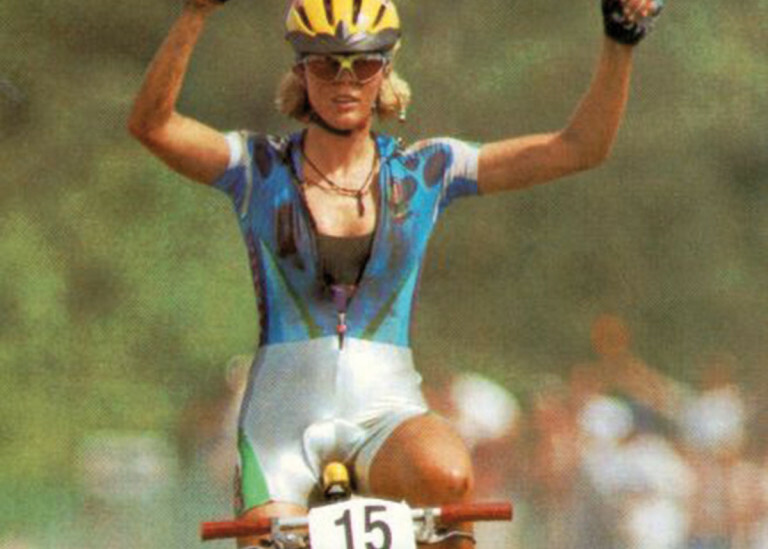 The first women’s cycloing collection is introduced and Italian MTB legend Paolo Pezzo (above) uses an aerodynamic Castelli skinsuit to win gold in cross country mountain biking at the Atlanta Olympics. 1998 – Why oh Y? 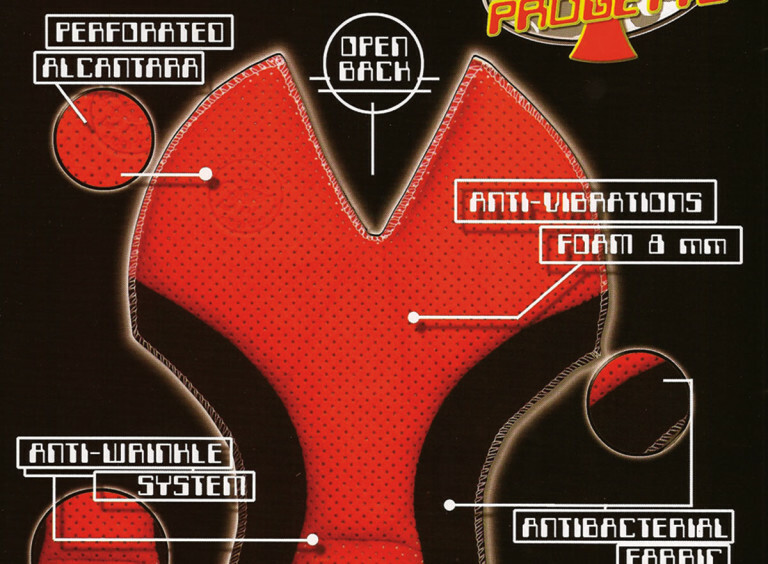 The world’s first Y-cut anatomic seatpad is introduced and Team Once wear the first jersey with wicking fabric inbuilt. The first aero race jersey and shorts are used by Team Saunier Duval (above) as well as the lightest jersey ever produced. Shorts completely change with a Giro leg band which replaces gripper elastic. The ‘Radiation’ insulation system is introduced offering performance cyclists a new way of dressing for cold winter days. 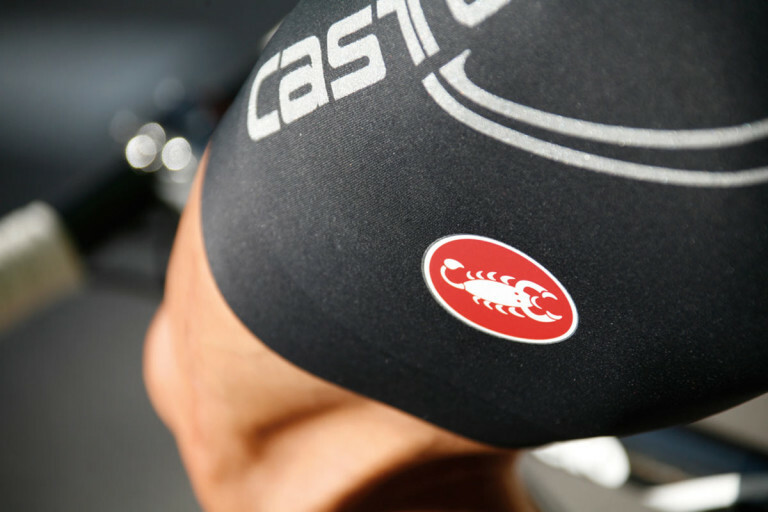 Castelli reinvents the bib short with Body Paint, a single piece of fabric with most of the components integrated into the seamless fabric. 2010 – Gabba gabba hey! 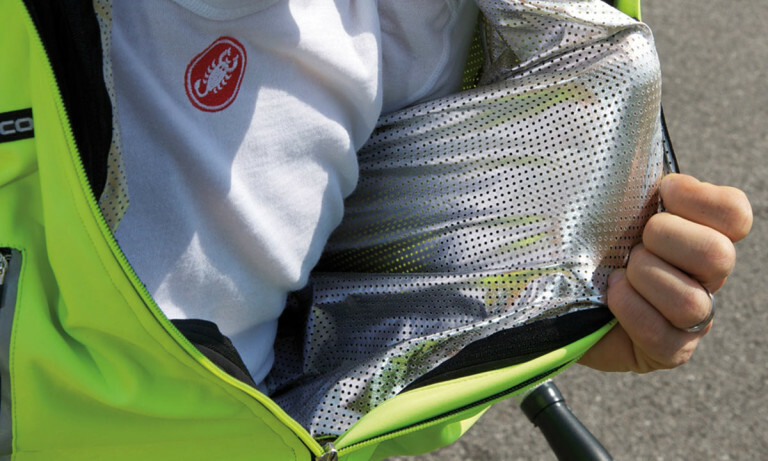 The Gabba WS jersey, the first all-weather aerodynamic jersey, is used by the Cervelo-TestTeam (above) and immediately sets the standard for protection against cold and wet conditions for racers and club cyclists alike. The Nano-Flex water repellent fabrics shed water but are still breathable offering function as well as an aero fit. The Sanremo Speed Suit, the first ever skinsuit made for road racing, is used by Johan Van Summeren to win Paris-Roubaix (above). This has spawned a host of copies from other manufacturers as riders appreciate the aero factors but with more practicality. Think skinsuit with pockets but more usable. Canadian Ryder Hesjedal uses the Body Paint 3.0 speed suit, the most engineered time-trial suit ever made by Castelli, to win the Giro d’Italia by a scant 16 seconds overall. 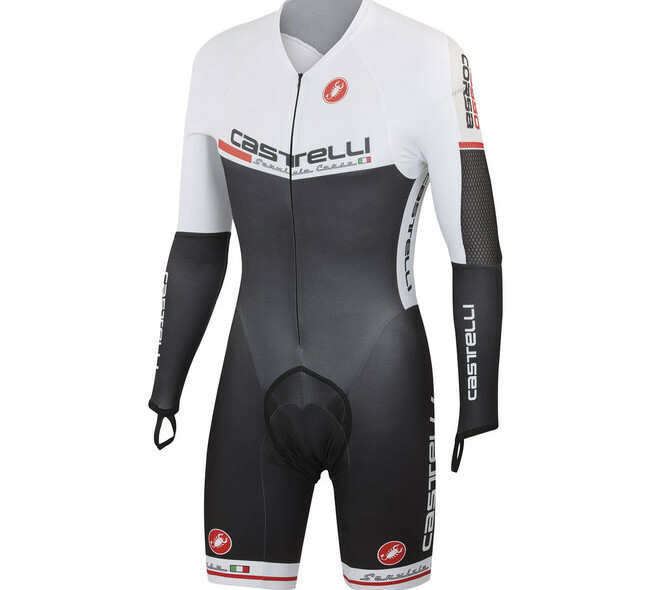 Castelli cycle clothing at Merlin Cycles. Tagged brand focus, castelli, Clothing, cycle clothing, gabba, racing, retro. Bookmark the permalink.